What is a Chicago Bibliography? There are two types of citations styles within the Chicago Manual Style. They are the Notes-Bibliography system and the Author-Date system. Which citation system is used is determined by the type of citation list that is used at the end of the Chicago style work. Chicago style works that use a bibliography fall under the Notes-Bibliography system. Chicago style works that use a reference page fall under the Author-Date system. Following the same function, both the Chicago bibliography and references page list all of the sources used within a work in an organized manner. 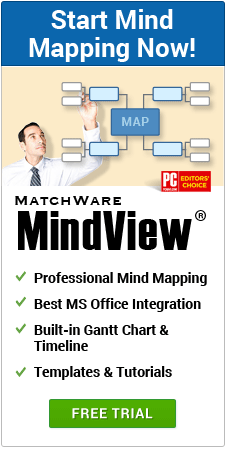 Create a Chicago Bibliography with MindView! What is a Chicago Style Bibliography? A Chicago Style Bibliography is essentially a list of all sources used within a work or research paper. Every formal research paper requires the sources of the work to be referenced. These sources are contained within a bibliography at the end of the document. 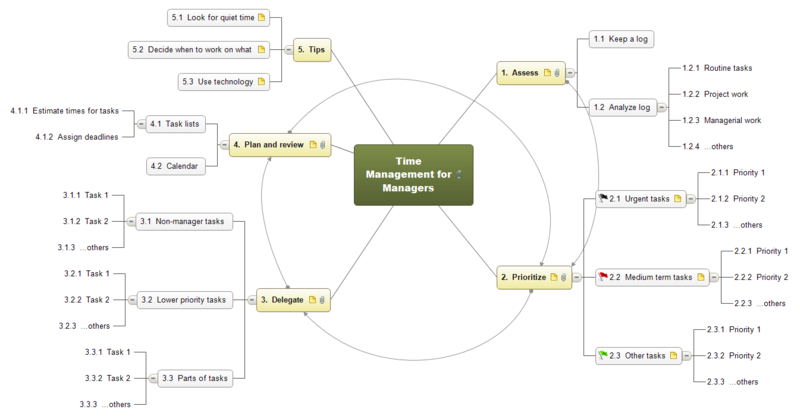 This allows for the reader to refer to the source that was used within a work for additional information. As mentioned previously, their are two types of reference lists, and the the citation system that is used is determined by the content of the work. 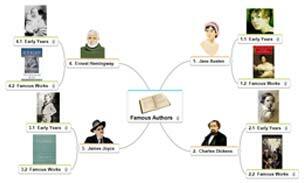 The Notes-Bibliography system is used mostly by writers that publish research for the humanities or art. The title of the Notes-Bibliography list of references is called a bibliography. The Notes-Bibliography uses a superscript number to notate the content of the work that came from an outside source. This superscript number corresponds to a note that can be found at the foot of the page. All citations are then collected in a bibliography that contains all of the sources used within the research. Research for the humanities, arts or history most commonly use the Notes-Bibliography system. 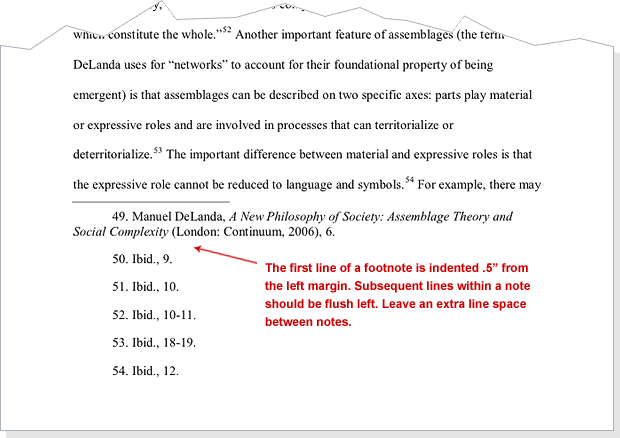 This way of referencing sources requires footnotes at the end of each page that a source was referred to. The footnotes are coordinated with a superscript number that is located within the text of that page where the source of information was used. Footnotes provide a quick reference for readers to get a brief understanding of where the information was obtained. The second type of Chicago citation is the Author-Date system. The Author-Date system is comprised of the author's last name and the date of publication. 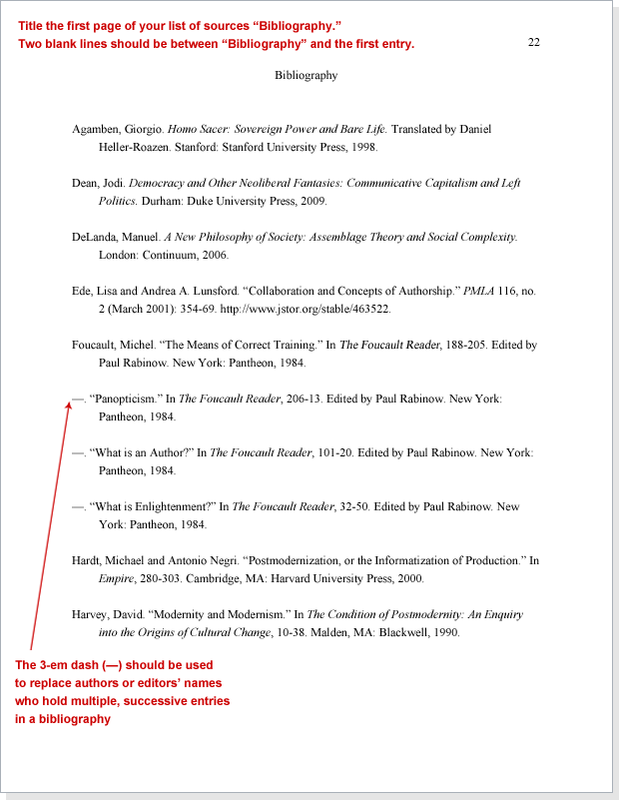 These references are documented within the work and do not include footnotes. The list of sources is compiled at the end of the document and is titled "References." 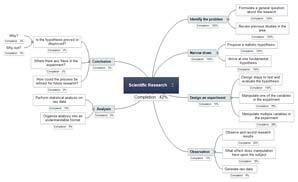 Whether it is a reference list or bibliography, both contain all of the sources used within a research work. The Notes-Bibliography system uses the Chicago bibliography, whereas, the Author-Date system uses the Chicago reference list. Both the Chicago bibliography and reference list provide detailed information about every resource used within the work. The formatting of each reference entry is determined by the type of source. For instance, the reference entry for a book source will be formatted differently than the reference entry for a video source. In order to ensure that each source is formatted correctly, you must refer to the 16th edition of the Chicago Manual of Style.